With the 'beast from the East' weather front on its way and the open sea view surrounding Hadleigh, the day was set to be cold and windy. Daza rocked up bright and early to set up team camp, as the clouds blew away at record speed the sun broke through and Jodie and Nicole arrived, in perfect time for a pre-race practice. The wind on the grid was bitterly cold and both riders managed to get a relatively good start, Jodie had to use all her experience in a large starting line up to feed her way through a near crash ahead of her in the grid. 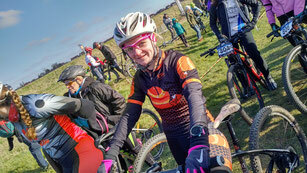 Today would be Nicole's first mass MTB grid start. 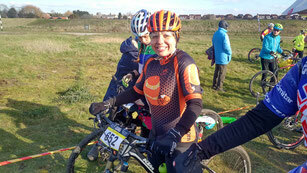 Jodie leads down first gravel berm descent. Nicole pushing hard in 4th, chasing hard. 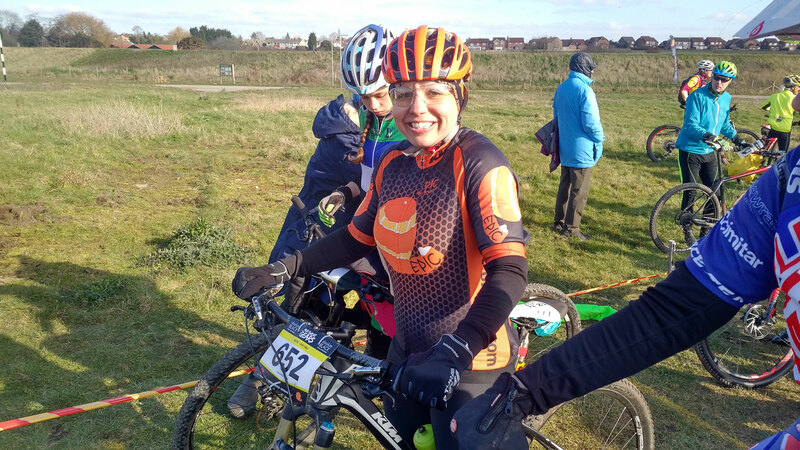 It wasn't long before Alison Hogg (Team Gunn Velo) caught and passed both riders on the long draggy climbs, but the inter team battle was ragging strong, with both riders exchanging positions throughout the race. 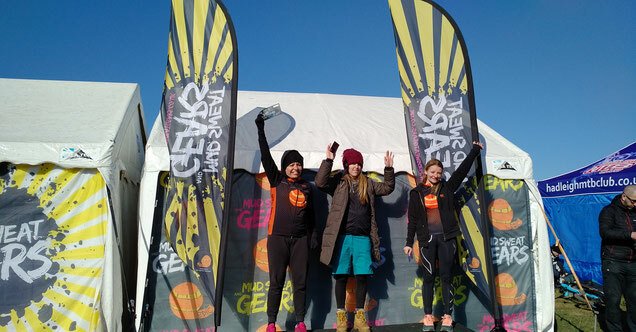 Eventually after a small 'moment' out on course Jodie slipped back into 3rd place and the teammates both finished strong, taking 2nd and 3rd place in their first Epic battle at an #MSGEast race. Joseph Stanford follows in his Dad's pedal strokes to take his first podium! 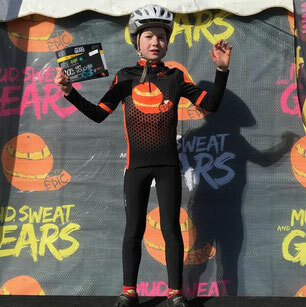 After the Ladies race, the team at #MSGEast deliver not one but two Kids races, with young Alex Stanford in the under 12's and Joseph Stanford in the under 9's, both riders being some of the youngest in each race. Alex had another strong race, going on to finish in 8th position, one of his highest finishes since jumping up into the under 12's race. 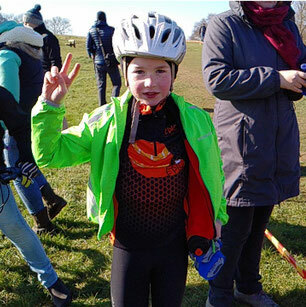 Meanwhile over the other side of the arena his younger brother Joseph was making his own PB's with an amazing 2nd place podium finish in the under 9's. Huge well done to both the boys! In the afternoon race Mike Auger made a surprise return to MSG, maybe sneaking in a quick race in the Sport category before the arrival of his and Erica's 2nd child. With last season's Sport Regional and Series champ Matt Ellis rocking up after 'birthday celebrations' for his first race in Elite/Expert category, Glenn Stanford and Darren Evans in the Veteran Male the team had a near full team line up at the first race of the season. Out on the practice lap Daza (after putting in some much needed training for a 200k race in April) knew his legs wouldn't hack the race, but after being bullied by Jodie and Nicole (you made us do it type talk) he started the race and did a full lap before retiring to the pits to help support. Meanwhile the rest of the guys were toughing it out on what was, even without too many technical features a brutal course. Mike gained the inter team 'race of the day' by tackling the A line drop into the arena and finishing 10th in a strong Sport category. Matt finished in 11th in Expert/Elite and Glenn in 17th in what was an extremely high competitive field. Well done to the guys for being Epic with more great racing. All in all another great day out at #MSGEast with racing quite literally for everybody, smoothly delivered by the team from MSG/Push Sport. 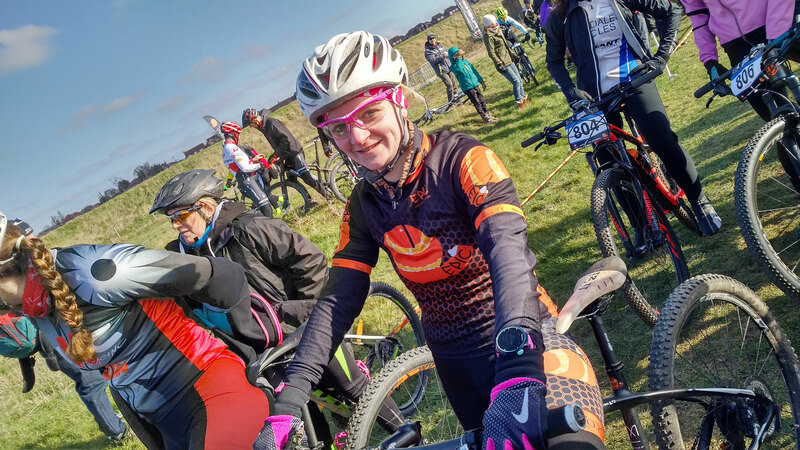 Great to see so many friends and fellow competitors from the likes of KTM Racing, Sussed Out, Push Sport, KLMTB, Gunn Velo, Newdales, HKR and many more.